August 6, 2018 — People use different ways to interact with the web. Users navigate for example with a keyboard only or with their voice. To make this work properly, it ‘s necessary that the design, code and content is properly set up, accessible for all devices and users. 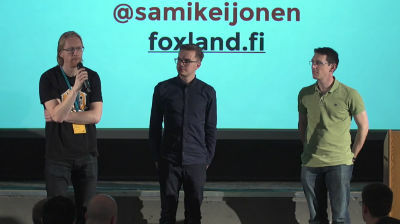 How do you test the accessibility of a design, code and content of a web project? What are the guidelines to test against? We will go through the different ways to use the web, which guidelines to use, what to look out for when checking for accessibility errors and which checks and tools you can use to help you test. We will also discuss a setup for automated testing. Bring your laptop and join in. This workshop is for people who develop, design and write content, of all levels. 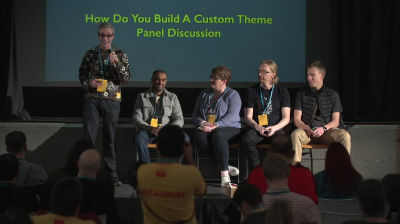 Panel Discussion: How Do You Build a Custom Theme? It was short (2-3 minute) talk from each panel member on their chosen preferred development model, followed by an open discussion with the audience of QandA’s on building custom themes. Have you seen onethingwell.org? It’s a weblog of simple, useful software. I’m going to show you a selection of similar software for WordPress – simple, useful plugins that you may not have heard of. There won’t be any bulky plugins with a hundred options and vast ecosystems, just small, focussed plugins that perform one thing well. Caching, timezones and internationalisation are just a few things that make developers cringe. 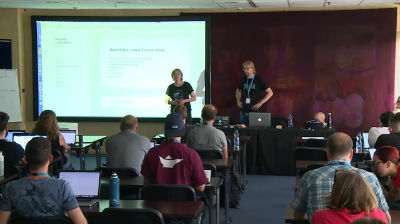 In this short talk I will highlight some recent enhancement in the field of i18n in WordPress to show how we’ve got you covered. I will also give a glimpse at what’s coming in the future. Why use SVG icons instead of icon fonts. How to create SVG icons. How to use SVG icons. Practical example of Twenty Seventeen SVG icon system.